Cast members have been announced for the third season of Rake, currently in production in Sydney. Richard Roxburgh is back as Cleaver Greene, along with Matt Day, Danielle Cormack, Russell Dykstra, Caroline Brazier, Adrienne Pickering, Kate Box, Damien Garvey, Robyn Malcolm, and Steve Le Marquand. Guest stars include Elizabeth Debicki (The Great Gatsby), Magda Szubanski, Dan Wyllie, Bruce Spence, Aden Young, and Genevieve Lemon. Ian Collie of Essential Media is producing the third series with Peter Duncan, Richard Roxburgh and Jessica Hobbs. Hobbs again directs alongside Jonathan Teplitzky, Rowan Woods and Kate Dennis. The ABC series returns in 2014 whilst the US adaptation starring Greg Kinnear premieres in September on FOX with Peter Duncan, Richard Roxburgh and Ian Collie as co-executive producers. @Stan – almost? She did out-shine Carey for me. I look forward to seeing her on Rake! Not very often a character has been so lovingly developed and equally played – roll on Rake! Elizabeth Debicki almost out-babed the lovely Carey Mulligan in The Great Gatsby! I’m guessing she’ll be another Cleaver Greene conquest? Note to Carole Sklan: Please ask Andrew Knight to write your quote for the press release. We may have to wait to see the US version. The Australian reported that the ABC insisted the US version not be shown in Australia before they show the 3rd series, when the sold the rights. So happy that this show is returning. The first two seasons were awesome. The guest line up is also a cool edition to the upcoming season. 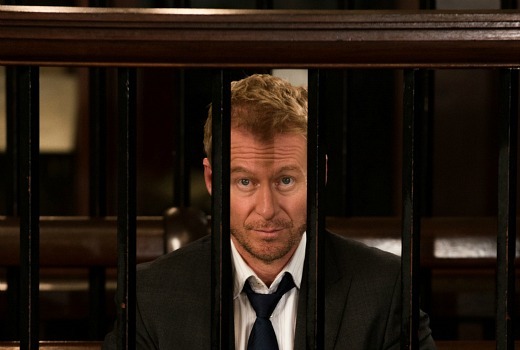 I love Rake too, glad it’s getting a 3rd season. Love Cleaver Greene, he is outrageous and hysterical. I love Rake, i just can’t see it translating that well in the US……stranger things have happened. I love that this is going to a 3rd series. Such a well written and acted drama. I loved the supporting cast and the twists and turns in the lives affected by Cleaver Greene.